My introduction to a Liquid Deli! 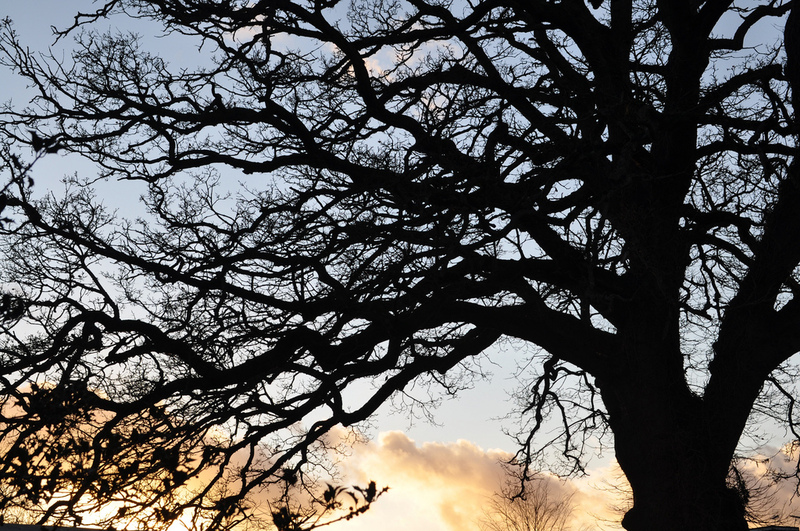 When staying at the historic Mercure Oxford Eastgate Hotel recently, Peter Watt, the genial general manager, told me about a little-known local secret of his – a shop known as the Liquid Deli. Well, dear reader, ahem, I needed to investigate immediately on your behalf as this sounded well worth a visit …. and so it proved. 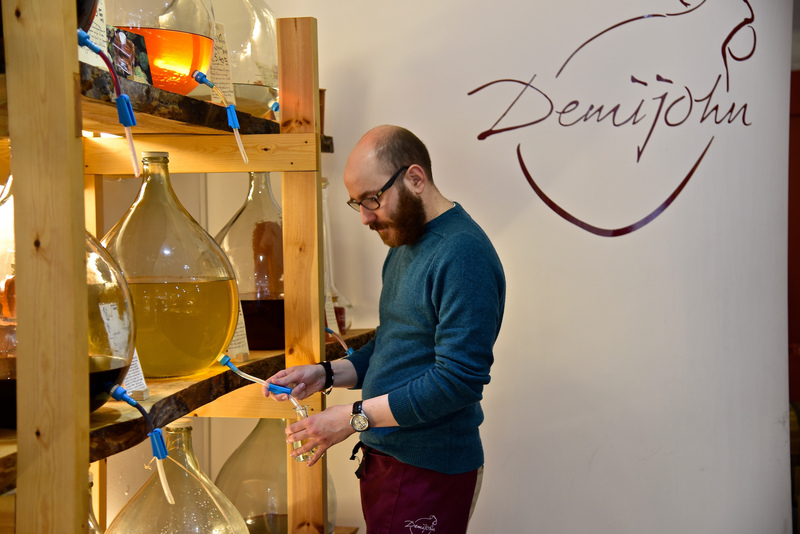 It’s actually Demijohn – the Liquid Deli – a rather lovely idea started up by husband and wife team, Angus and Frances Ferguson and now numbering four shops and still growing. 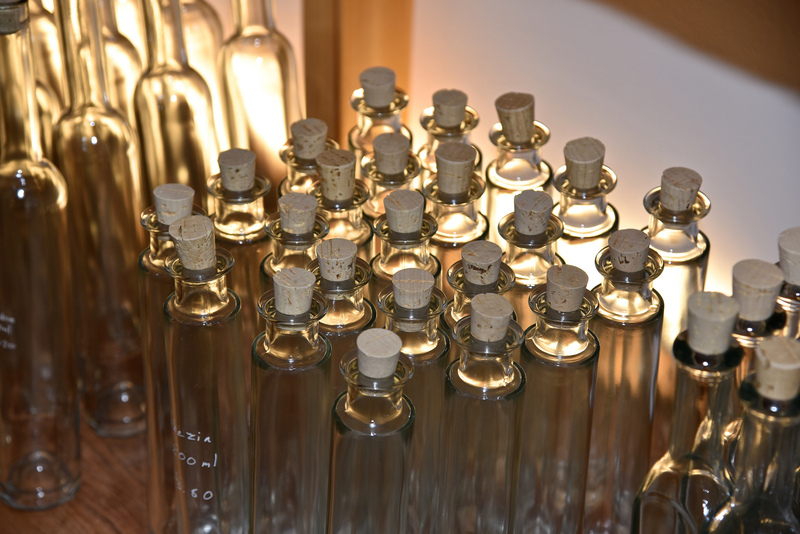 In essence, Demijohn offers a selection of rather unusual yet delicious artisan liqueurs, spirits, oils and vinegars from across the UK and Europe, selling them in a wide range of re-useable glass bottles. A good idea you might say, but it gets even better. 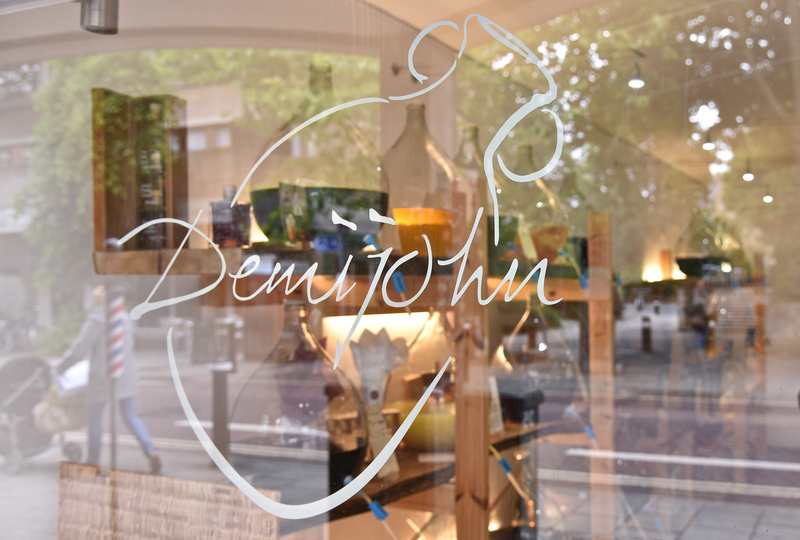 Said glass containers can be customised – there and then – with a personal message by the skilled sales people come calligraphers! And its not too expensive either – there’s ample choice for the frugal to the expansive purchaser. What a great idea – what lovely people – I met Angus whilst trying to decide just what “liquid” to buy – not an easy choice when you have such delicious options – Elderflower Vinegar, Toffee Whisky Liqueur, Ginger Wine, the list goes on. Then, of course, I had to decide on the container too – decisions, decisions. 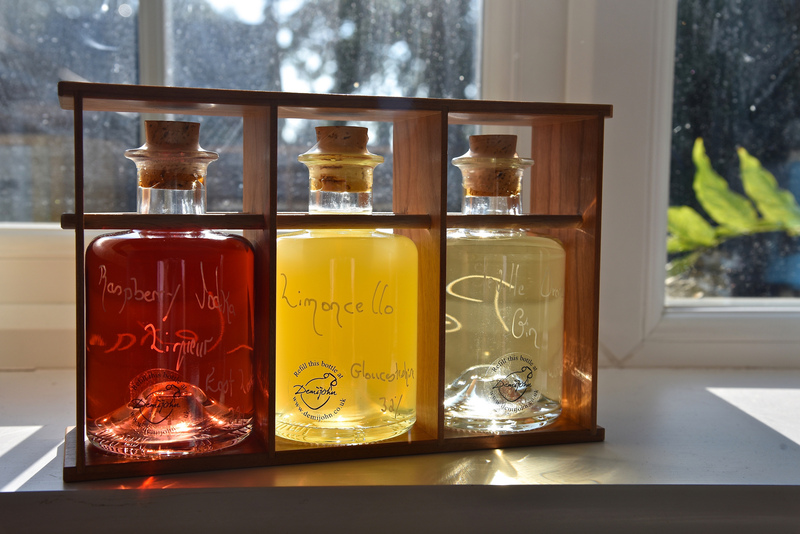 After much internal debate, I settled on three – Seville Orange Gin, Limoncello Liqueur and Raspberry Vodka Liqueur for a gift for my god-daughter & husband – a gift I am lead to believe that was immediately sampled, enjoyed and (I suspect) swiftly emptied – job done – unique gift for a special couple – thanks Demijohn! So if you are ever in Edinburgh, Glasgow, York or Oxford, and you are looking for a different kind of gift, why not look them up? It’ll be well worth it. 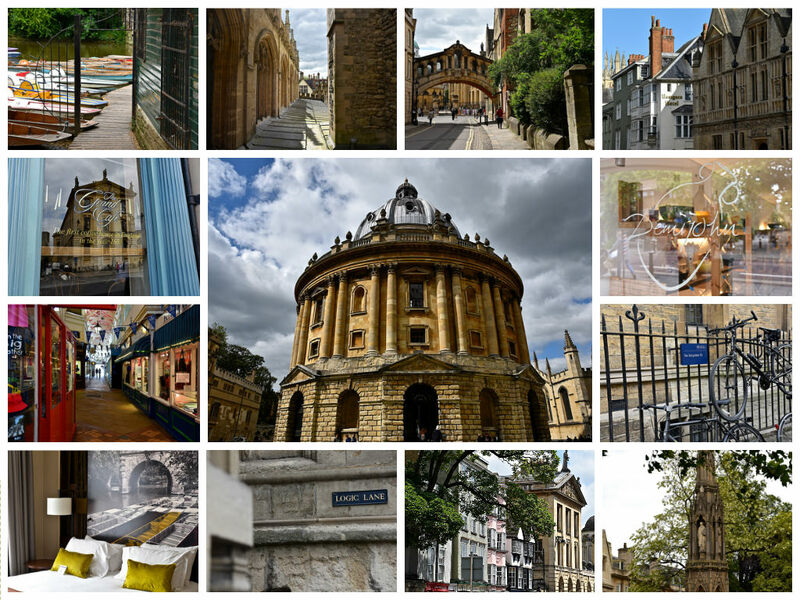 Oh and if you are heading to Oxford, do stay at the Mercure – I really loved that hotel.